Studio Printing is our go-to for our numerous business printing needs. Their expediency, attention to detail, pricing, and all-around customer service are unparalleled and we are so lucky that we have built a lasting professional partnership with them. We look forward to many more years working with Ed and Studio Printing! Studio Printing is one of the largest and most trusted full-service printing companies in Southern California. We love what we do. There is no greater satisfaction than delivering a finished product that helps a client reach their goals and objectives. 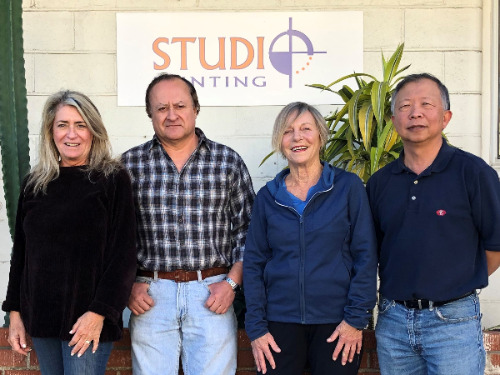 Studio Printing has been an active part of the El Segundo community since 1998. We're proud of the strong roots we've built in our community. We pride ourselves on being a complete source for all of your business communications needs. We have always been on the leading edge of printing technology and are continuously embracing new advances in printing. The Studio Printing team came together as 3 separate companies, each with expertise in various printing methods. We’ve combined our diverse talents to bring our clients the best quality printing available. We are extremely proud of the strength of our team and the quality of our work. We learned long ago that we're really in the business of building relationships. Every person on our staff is committed to providing excellent customer service and producing high-quality products and services. As you work with us in the future, we're confident that you'll find this to be true.